At Home Painting Tips and Tricks! 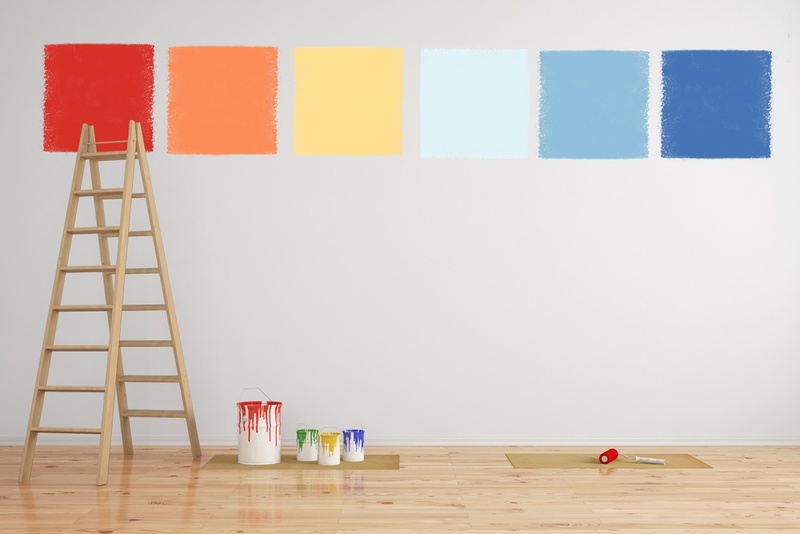 Painting the interior of your home may feel like a daunting project. With a clear vision in mind, a little planning and this step-by-step guide; we’ll help you get the job done right the first time, and not again for a long time. Our tips and tricks will wow your guests and leave a great impression every time. After the surface has been patched, filled, sanded and inspected, all residual dust and debris will need to be completely vacuumed away and the surface wiped with a damp cloth or “tack-rag” prior to painting. We at Evoke Living Homes make sure the surfaces are cleaned prior to handover, but we recommend doing a last onceover just to make sure you can achieve a blemish free look. The next step is to seal the prepared surface with a good quality “prepcoat”. This is a very important step in ensuring you even out the texture of your walls to create a uniform and opaue surface ready for the top coat! Allow the “prepcoat” to dry thoroughly, inspect carefully then lightly sand the prep-coated surface with ultra-fine grade sandpaper to remove any foreign particles that may have become lodged in the paint work. Clean the surface once again (as above) to remove all dust. Not allowing the sealer undercoat to fully dry may result in variations in gloss. Once the wall has been cleaned and smoothed, you can now apply your topcoat! Carefully apply 2 coats of yourtopcoat by brush, roller or spray and backrolling to achieve your desired result. Allow the first coat to dry thoroughly before lightly sanding and dust-down between coats. The painted surface should exhibit uniform colour, sheen, opacity and film thickness. Try to avoid painting defects such as brush or roller marks, spray pattern texture irregularities and other inconsistencies. To avoid glancing light issues, we recommended taking a closer look between the hours of 10am and 2pm. When you are inspecting your final paint work, we suggest doing so at a distance of 1.5 to 1.8 metres. This will allow for any obvious and subtle marks to stand out in a clear light. Use this paint calculator to help determine the quantity of each type of paint you'll need. As a guide, most interior paints 4m2/L. When painting any room, we always recommend painting from top down; Start by painting the ceilings and then move on to the walls. Once these are completely dry, paint the doors, trims and window frames to finish off the job. It’s time for the fun part to begin! Add your furnishings, unleash your creative flair & enjoy your new space.